Gartner articles here identified 10 hot technologies for 2010. How useful is the list as a guide to CIO, CEO in planning for next year priority is anyone guesses? I have place my humble opinions and comments below each of the items listed. Read it, think about it and share what is yours. 1. Cloud Computing. – I do think that it is over hype as this is not new. It has been around for more than a decades. From Asp to SaaS to Cloud computer. Slap on a new label-buzzword and you have people all excited. Cloud computing simply means that we are all going to access our mission critical applications from the internet “cloud”. From my observation to date it is usually entry level type of applications (SOHO) that has gone to the cloud. Corporate Malaysia running mission critical application like ERP and other has too many issues to handle than to be too hung-up on technologies and predictions. The writer has not done business in south Asia I presume. We have unacceptable slow internet connection and frequent outage in the 3rd world countries. 2. Advanced Analytics. -- I would think that Business Intelligence and Analytics is the next big thing to decision makers, CEO,CFO , head of states and our Prime Minister need to feel the pulse of their businesses/nation and to act and react on the fly. Gone were the days of sieving through pages and pages of reports and worst still informal reporting. And the DRIP syndrome. (Data Rich Information Poor) Having plenty of data in the server but not able to mine them. So Idris Jala our named minister in PM’s dept to oversee KPI initiatives would have to use some of these BI and Advance Analytical tool. So I would think that there are good opportunities for BI and CRM solution providers in Malaysia. 3. Client Computing. -- Has been around for ages and still viable. Client runs an application or system that accesses a remote service on another computer system, known as a server, by way of a network. The client-server model is also used today on the Internet, where a user may connect to a service operating on a remote system through the Internet protocol suite. Thin clients vendors like Citrix and MS Terminal Service will continue to flourish as Fat clients computing will dwindle. Come to think of it a dumb terminal that connects to a mainframe is also a client. Now I am beginning to sounds confusing. 4. IT for Green. -- Yes, Green is the in-things today as very corporation is going green as it is good image-ing. But unless it has actual benefits and cost saving features rather then just for PR only I would not buy it. The movie Avatar has subtle environmental and social messages like anti-war, anti-plundering of the mother earth. See my write-up here on Green. 5. Reshaping the Data Center. -- Don’t know what it means, I guess that Data centre will continue to by re-models, re-sized with green in mind and also security and fault tolerance (100% redundancies) computing. But more energy efficient UPS power supply will continued to be used but the water chillers computing (if you are old enough to know what I am talking about) will be things of the past. 6. Social Computing. -- Yep, social computing is all over the net. It is an economical way for smaller companies to make themselves visible. It’s great for networking and sharing of information and business matching. Some are able to make a tidy sum selling eBook on How to make money on Internet or Facebook etc. But not sure how much business value it will brings to ERP vendors. But we should all embraced social computing. 7. Security. -- Activity Monitoring. -- Security, confidentiality and data integrity as usual will continue to be important to all corporations. More so when cloud computing become more pervasive. Companies like Symantec and others will be churning Internet security – Fire wall, Virus Wall against Malware and viruses. 8. Flash Memory. -- Ahh! An invention by a Malaysian. Thumb drive is one of the most valuable and convenience gadgets for people on the move. With capacity growing and prices falling it surely will be improvise for other used in entertainment. But not sure of its security aspect of moving data around. Remember those days when floppy drive was being disabled by some corporation. 9. Virtualization for Availability. – I am not an expert in this technology (so I read up) and will keep my comments to a minimum. High availability means duplications of servers, OS, hard disks, NICs or power packs. As anyone of these component may fail and in order to have 100% redundancy Fault Tolerance, every components need to be duplicate or triplicate. As Virtualization software creates a Virtual Machine (VM) that emulates a physical computer. This creates a separate OS environment that is logically isolated from the host server. By providing multiple VMs at once, this approach allows several operating systems to run simultaneously on a single physical machine. However, since each server runs multiple virtual server workloads, a single point of failure, the server, is created. This escalates the issue of availability for that physical server. In other words, if you put all your virtual eggs in one basket, then you want to take very good care of that basket. Some of our larger customers are moving into virtualizations as of today but for the smaller sme this don’t seems to be high on their priority. 10. 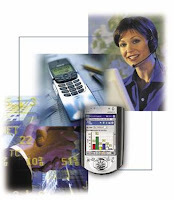 Mobile Applications.-- Everyone has a handset. There are already thousands of applications for it, be it games or dictionaries, concordance and others. But with the new mobile OS has enabled accessibility more than ever as we can have the mobile handset used as a front end of the ERP applications. It is much cheaper than carry a notebook. Productivity increases with Mobile sale person taking orders on the move or querying stocks and customer information to the HQ server or back office Service ERP/CRM issuing work order to the serviceman on the move. I see this augur wells for solutions provider that is ready to offer their solution to the market place. Careware has the solutions with the almost full features miniature Sage Accpac ERP and Sage CRM. For more information read here. Conclusion -- So this is Gartner list of 10 strategic technologies in 2010. (Has anyone done a score of Gartner prediction over the last 10 years, I would like to read it. I should think below 30%). Every sales person will floored you with new technology jargon to impress you that they have the latest and sleekest application or devices. But my advised is not too hung-up on technology for the sake of technology. Use Gartner list as aides by all means but do not let them set your strategic path. But your strategic direction is driven by a clear and details understanding of your business needs and your business mission. -- taking into account, processes, costs, technology direction, availability and etc. As the world of business is constantly evolving, so must your business management software. Sage works to continually improve your experience with Sage Accpac Extended Enterprise Suite and develop new functionality to help you get more out of your solution. Working directly with an extensive customer base (over 45,000 companies and 200,000 users) Sage ensures its products work the way you do to improve processes and enhance productivity. The key enhancements developed in Version 5.6 will help to automate workflow and reduce costs throughout your organization, helping you accomplish more in less time. How you can get your hands on all of the dynamic new features packed into this version? Great news! If you are an existing Sage Accpac user with a current Client Care plan, you are entitled to software upgrades and maintenance updates as part of your Sage Accpac Software Assurance plan. Increase insight into your business to realize your strategic vision! A new business intelligence tool enables you to adapt successfully to changes in today’s markets and make better, faster decisions. Get a fast and accurate view of your cash position and better insight into cash flow with the improved usability and new functionality in System Manager Bank Services. Now you have more ways than ever to accommodate your unique procedures and get your job done even more quickly. Boost profitability and cut costs by dynamically linking processes, information, workflows, and communication channels through improved SageCRM integration. 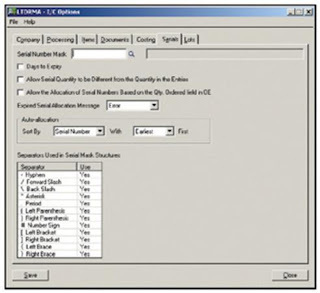 Several enhancements assist you with inventory management–a key area for process improvements used to reduce costs that also result in better service and greater customer satisfaction. A new product within the Sage Accpac Extended Enterprise Suite–empowers you to quickly and easily obtain the information you need for operations and strategic planning from your Sage Accpac solution. 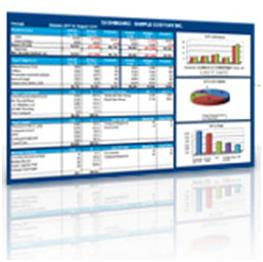 Effortlessly create reports and analyze data, utilizing the familiar Microsoft Excel application. You can spend more time focusing on information analysis and interpretation and less time pulling the data together. Best of all, Version 5.6 provides you with the Sage Accpac Intelligence application at no additional cost, along with a single user license of the Report Manager. A new Reverse Transactions form lets you reverse both payments and receipts quickly and accurately. Version 5.6 empowers you with a more straightforward way to reconcile your accounts and finish month-end in record time. The new user interface simplifies the user experience and allows for greater flexibility and more efficient daily task management. Cash management processes are greatly improved. You can also take advantage of new functionality such as bank security resources for separation of duties, an improved reversal process, and a bank entries posting journal. 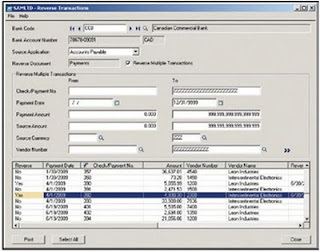 You will find many improvements to inventory management, including an optimized Inventory Valuation report, faster access to information, a new Internal Usage form, improved integration to Sage FAS Fixed Assets, additional costing and transaction creation options, Item Inquiry and Drilldown functionality, and a new field to track posting dates for transactions. Version 5.6 also takes Serialized Inventory and Lot Tracking to the next level, as this functionality has been completely redesigned to improve workflow and performance and add customer-requested functionality.